The Braves have gone under the radar this offseason despite winning the division in 2018. With one of the league’s best farms still, Atlanta are ready to compete for the next five years and beyond. Signing Josh Donaldson on a one-year, over $20 million deal was the main news in Atlanta’s offseason. Third baseman Donaldson has struggled with injuries over the last two seasons but remains an elite hitter when he can stay healthy. Prospect Austin Riley still has a route to the team because it’s a short deal, and in the short-term, Donaldson forms a scary infield group with Ozzie Albies, Freddie Freeman and Dansby Swanson. Anibal Sanchez, who threw over 160 sub-three ERA innings for Atlanta last season, will be playing for the division rival Nationals. Kurt Suzuki joined Sanchez in the capital, leaving a gap behind the plate. The vacancy was filled by Georgia-born, former Brave Brian McCann. McCann had his worst offensive year last season, struggling with average and power as an Astro. His All-Star days are behind him, but his experience will be invaluable to a young pitching staff. Another veteran, outfielder Nick Markakis, returns to Atlanta. Markakis’ future was uncertain when he hit free agency. 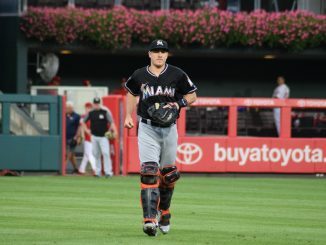 The Braves had a spot in right field to be filled, though, and were not actively pursuing Bryce Harper or other free agents. The Markakis reunion makes sense, even if it’s a bit disappointing. Albies got off to a brilliant start last season. He struggled in the latter part of the season, however, which is a concern for Atlanta. Swanson has been an offensive liability since graduating to the Majors. The middle infield pairing were a significant part of their rebuild – how they develop (Albies’ floor seems higher than Swanson’s) will set the Braves’ ceiling. The great question mark on Donaldson is health. When available he’s still a good or better Major League hitter. Amid all the comparative uncertainty of younger players, and just how good Markakis will be, Donaldson alongside Freeman in the middle of the order is a monumental boost. Atlanta have three pitchers – Mike Soroka, Ian Anderson and Kyle Wright – in MLB Pipeline’s top 32 prospects. They have another two in the top 100, and several other highly rated arms, including a couple that are already in The Show. The ceiling for this group is ridiculous, and it’s certainly possible we see multiple breakouts this year. There are still plenty of prospects to come. The pitching depth is astonishing, giving the Braves options in the rotation and bullpen. 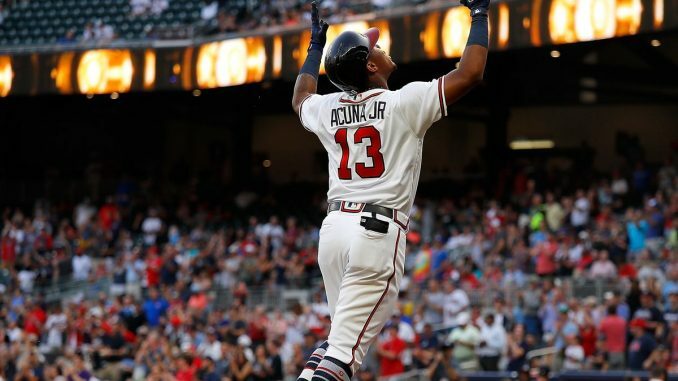 Their line-up is not as deep as some others, but the upside through Ronald Acuna, Swanson and Albies is huge. 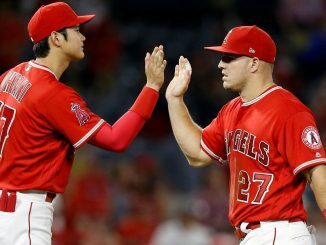 While the Mets, Phillies and Nationals have grabbed headlines, the Braves have made sensible moves, keeping their farm and minimising risk. It’s not box office, but no one should be surprised to see them pass the 90-win mark again.